The original brute of a dolly where it all began. Designed around a common, inexpensive and world-sourceable aluminum rail, it's our most economical and practically indestructible slider system. 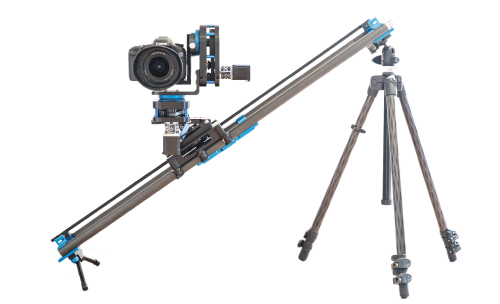 Choose a slider only or build a multi-axis rig. The ultralight carbon fiber slider you can carry in a backpack. Travel farther and bring the motion with you. 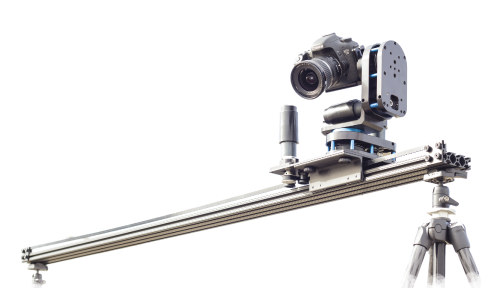 Precision made joinable extensions provide buttery-smooth camera movement while allowing the system to collapse or expand to any length you need. 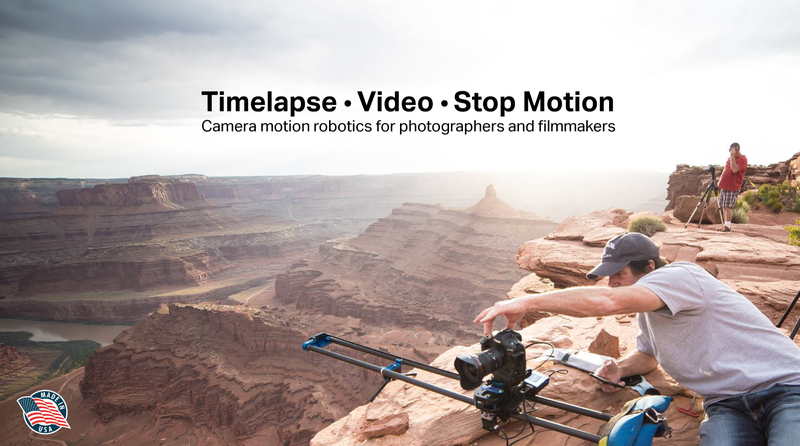 Rock solid powerhouse panning and tilting to use alone or on a slider. 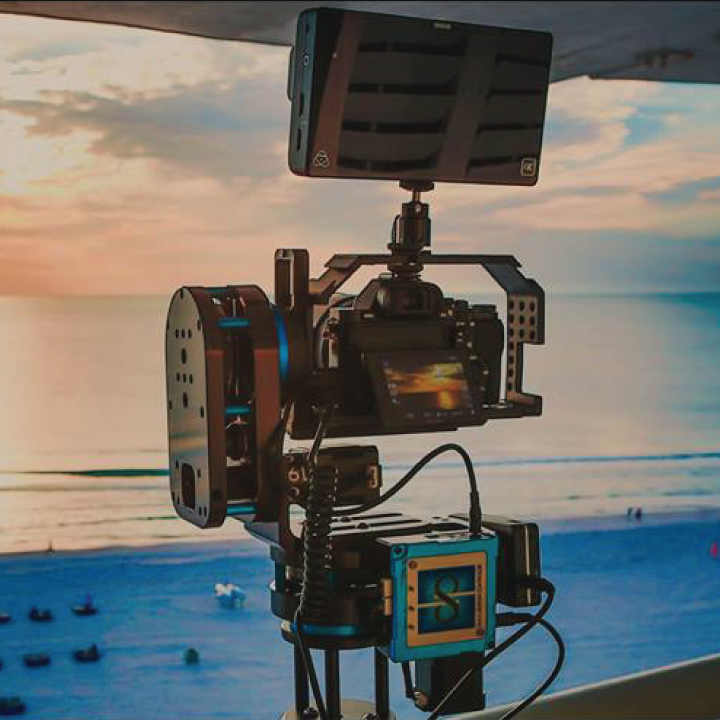 Use the tough-as-nails lightweight platform as a standalone pan or tilt motion setup, combine two for a 2-axis pan and tilt rig or add both units to your slider for full 3-axis motion control. Choose a one or two axis setup.